Posted January 12, 2017 by Dale Cowan & filed under Episodes. We return to the island of Saint Marie tonight, with the Honore Police investigating the murder of a young girl who died from an apparent suicide, as the town celebrated the first (and presumably last) Saint Marie Literary Festival. With all the potential suspects in full view of the festival crowds as the murder took place, the death is further complicated when the victim is identified as Florence’s childhood friend, and that she was killed in the same way as the heroine in a novel being celebrated at the festival. There is a real sense of this story feeling heightened compared to last week’s opening instalment. The central mystery does require a lot of thought and the circumstances surrounding the victim are intriguing. 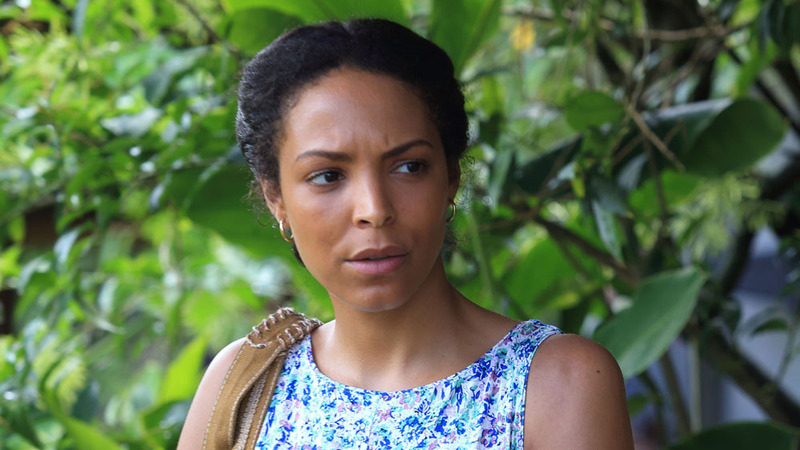 One of the issues that Death In Paradise sometimes faces is having us struggle to care for someone who dies before the opening credits. However, this episode continues to build the character as the story progresses, which makes it all the more interesting. Having the victim being someone known to one of the main cast adds an emotional connection to the story, and brings out a lovely performance from Josephine Jobert, as Florence. Her chemistry with Kris Marshall has never been better, particularly in the episodes closing moments. Martha gets several mentions here but is notably absent from the episode, as there is so much going on. A pleasant little subplot regarding Catherine running for Mayor of the island looks to gain steam in future episodes, and will hopefully give the talented Elizabeth Bourgine something more substantial to do. Another source of amusement is Dwayne trying to hide the fact that he hasn’t read the popular novel, only for his lazy attempts to do so to help break the case. 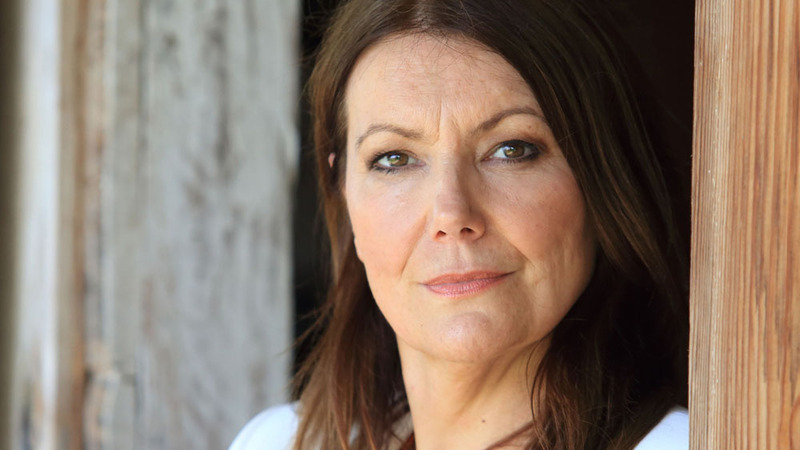 Cast wise the episode is very strong too, with contributions from Fiona Allen (Smack the Pony), Monica Dolan (Witness for the Prosecution) and Angela Wynter (EastEnders). However, the strongest guest star is Caroline Lee-Johnston, as the reclusive Lizzie Baptiste. Her scenes are surprisingly poignant, well played and allow a little more character development for Tobi Bakare’s JP. The pace of the episode is lovely too, with the usual thought provoking and potentially misleading elements including a partly written, partly typed suicide note, a case of literary fraud, a sexual harassment claim and the significance of an audio book all forming part of the ongoing investigation. When the killer is revealed, it may not surprise you, but it will have you smiling at how well crafted the script is from writer Kelly Jones (The Musketeers). A healthy pace, strong casting and an engaging main mystery, with key character moments sewn in to highlight the strengths of the core cast, make this a very entertaining hour of television. Aired at 9pm on Thursday 12 January 2017 on BBC One. Follow Dale Cowan on Twitter here.